In Shin Mazinger, he is one of the mysterious employees at the Kurogane House, a spa in Atami. He, Cross and Master seem to be Tsubasa's most trusted followers. His speciality is the use of explosives. 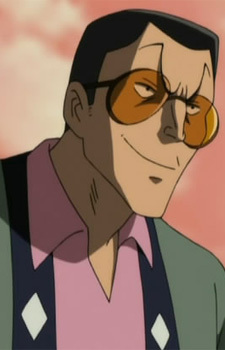 Yasu's original appearance was the manga Violence Jack, where he acted as a yakuza goon.